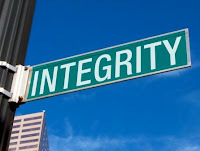 digital-media-lab - research: Can We Manage Integrity? We can’t roll time backward. We have to build systems that make future breakdowns much less likely, writes columnist Jac Fitz-enz. No one likes bad news. The worse the news, the less we want to hear about it, especially when it deals with issues that make us sick to our stomach. Consider natural disasters such as the earthquake in Haiti or tsunami in Japan. Horrible death and destruction rained on thousands of people. There is little or nothing we can do about those calamities. Compare that to the Penn State Jerry Sandusky case. That is a failure of human proportions that we should do something about. Maybe that is why we want to put it behind us. It reminds us of our faults as human beings. I mentioned the five aspects of life in an earlier column — integrity, health, family, career and all else. The Sandusky case is a classic example of integrity failure, and it is a talent management issue. 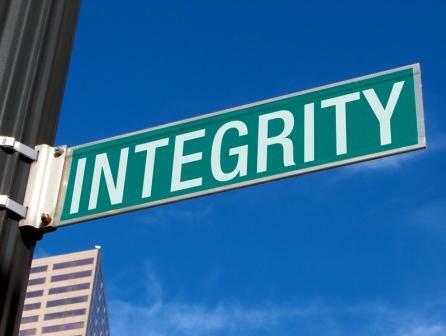 The most important things in life and work are integrity, values, ethics and morality. When we fail in this area we damage our core. It is so revolting that when something happens beyond the pale, even close friends deny it because they can’t accept it. At Penn State, months after data showed Joe Paterno was aware of Sandusky’s sexual crimes against children and did nothing, his fans refuse to accept “JoePa’s” guilt. If he had lived and accepted his guilt, some fans would still make alibis for him. It’s discomfiting to see our heroes fall. We can’t roll time backward. We have to build systems that make future breakdowns much less likely. Human beings will fail just as floods will occur. But we can lessen the likelihood of a flood by building a system of channels and dams. With integrity issues we can do three things. First, teach the principles of integrity across our educational system from kindergarten through universities. In the early days of public education, ethical behavior was part of the curriculum. Students were taught how to think and comprehend the damage that misconduct inflicts on society. These issues are the bedrock of a civilization. Yet, in the last half of the 20th century, business schools set that aside in favor of management skills emphasizing material gain. Secondly, we can design management systems that make it difficult for someone to do wrong. The stock market manipulations that cost companies and individuals billions could have been prevented. They weren’t, because oversights were not developed and greed overrode honesty. For a CEO to say he doesn’t know what is happening is an admission of criminal negligence. Our current global economic fiasco is not about liquidity, but solvency. Politicians in the U.S. and Europe have set aside their fiduciary responsibility to citizens to keep themselves in office and pander to special interest groups. Finally, we need to punish wrong-doers. This does not mean finding a scapegoat or two. It means wholesale housecleaning of executives and politicians who ignore or support malfeasance. Millions of people in the U.S. were financially wiped out as a result of derivative real estate manipulations. This was a heinous crime. Yes, some top executives lost their jobs, but they received multimillion-dollar payouts on their way out the door. But, how many people on Wall Street or at Fannie Mae and Freddie Mac or the U.S. Treasury department went to jail over the derivatives and real estate disasters? Government leaders take an oath to be accountable to us. I am upset, but I don’t believe I am an alarmist. I do believe that the American Dream my immigrant grandparents sought and built is very close to being a nightmare. The principles I was taught in civics class are hard to find in our government today. One does not have to be a wild-eyed radical aimed at overthrowing society to be frightened by what one sees every day. The middle class, the core of every prosperous nation, is being marginalized. The poor are more helpless and deprived than at any time since the 1930s. It is time to rebuild integrity at every level in every aspect of America. That includes our talent development and management systems.